We just bought an Off Peak car for easy transportation during the nights and weekends. With 2 children under the age of 8, we have to buy 2 car seats each for them. 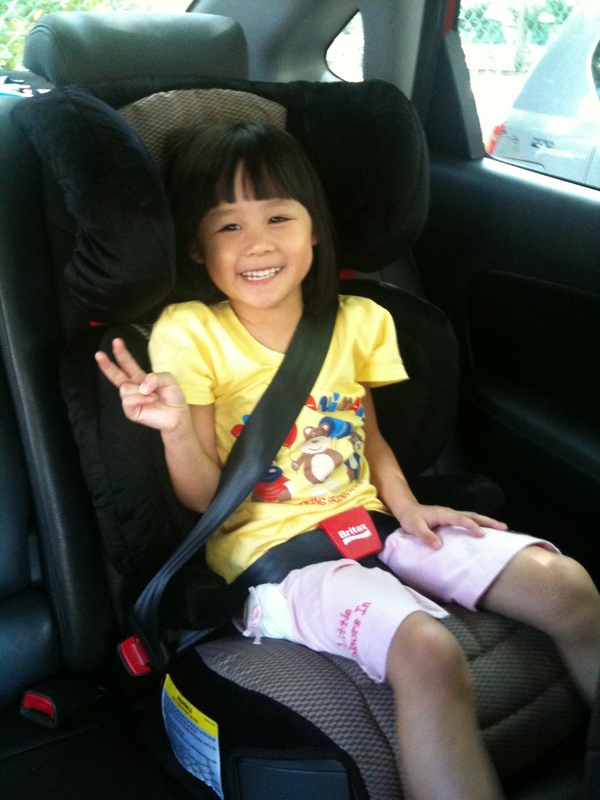 As Dawn is 4 years old, she can use a booster or a car seat. However, hubby brought up a point about the head side cushions may reduce any collision impact. And I suddenly thought of having the side cushions can also allow Dawn to rest her head if she falls asleep in the car. Thus, we decided on getting a proper car seat for her. Hubby researched and read up reviews and finally decided to get Britax Parkway SG. Bought this from Kiddy Palace. Too bad they don’t have the pink one! This entry was posted in Bzmommyhood, Dawn and tagged Dawn, Kids.